Atlantic Battery Systems has extensive experience in sizing and providing batteries, cables & racks/cabinets for many renewable energy applications. 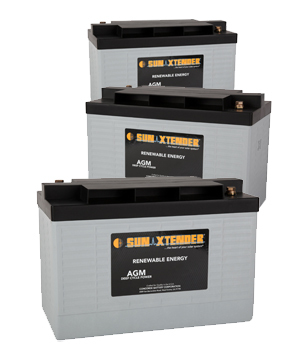 Backed by the best brands in the industry, we offer a comprehensive battery lineup from high power industrial flooded, to premium AGM or Gel in both top and front terminals. Custom cables are also produced and offered by Atlantic Battery Systems. To compliment a battery bank, we also offer battery racks and enclosures to fit top and front terminal batteries. 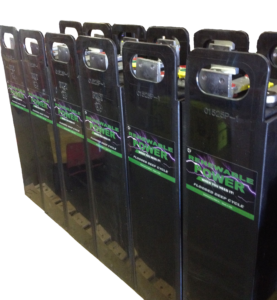 Atlantic Battery Systems has developed and is now offering an industrial flooded series of deep cycle batteries for demanding renewable cycling applications. The RPS Series (Renewable Power Series) is a high quality, flooded deep cycle battery designed for those frequent cycling applications.